By buying this product you can collect up to 21 loyalty points. Your cart will total 21 points that can be converted into a voucher of Rs. 2.10. 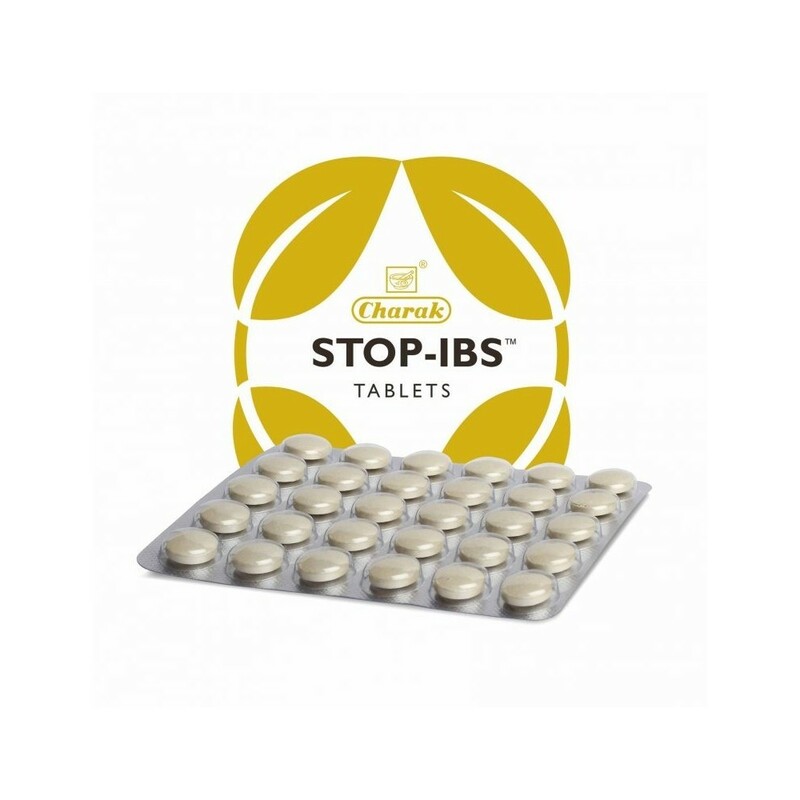 Stop-IBS tablet restores the gastrointestinal motility and relieves symptoms associated with Irritable Bowel Syndrome (IBS). Among the ingredients in Stop-IBS tablet, Shunthi (Zingiber officinale) is a potent anti-diarrhoeal, antispasmodic and accelerates gastric emptying. Bilva (Aegle marmelos extract) exhibits significant antistress and adaptogenic activity. Bilva (A. marmelos) is active against infectious forms of diarrhoea and also has antispasmodic and antibacterial properties. Kutaj (Holarrhena antidysenterica) is a well-known herb for its antidiarrhoeal and antibacterial activity. Brahmi (Bacopa monnieri) helps in reducing the stress responsible for aggravating the symptoms of IBS. Musta (Cyperus rotundus) and Ativisha (Aconitum heterophyllum) help to combat diarrhoea. 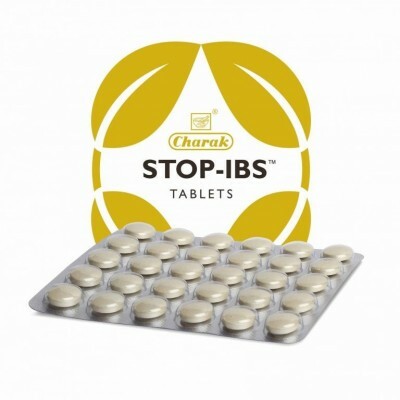 Stop-IBS is thus effective in countering the symptoms associated with irritable bowel syndrome.